We hope you all enjoyed last nights World Cup match shown in our sports bars, we have another fantastic weekend for you in our main room so make sure you come down early so you don't miss out! 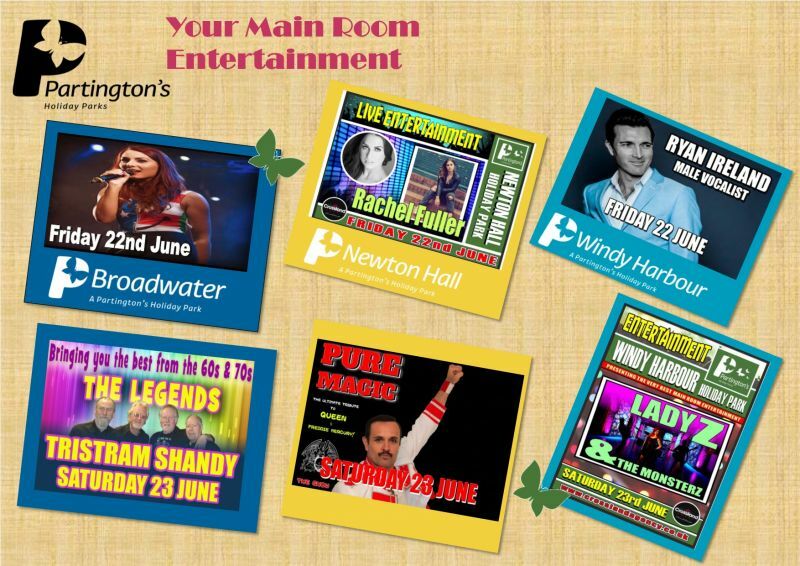 Here is your Main Room entertainment for Broadwater, Windy Harbour and Newton Hall Holiday Parks! Can't wait to see you all there.